003. 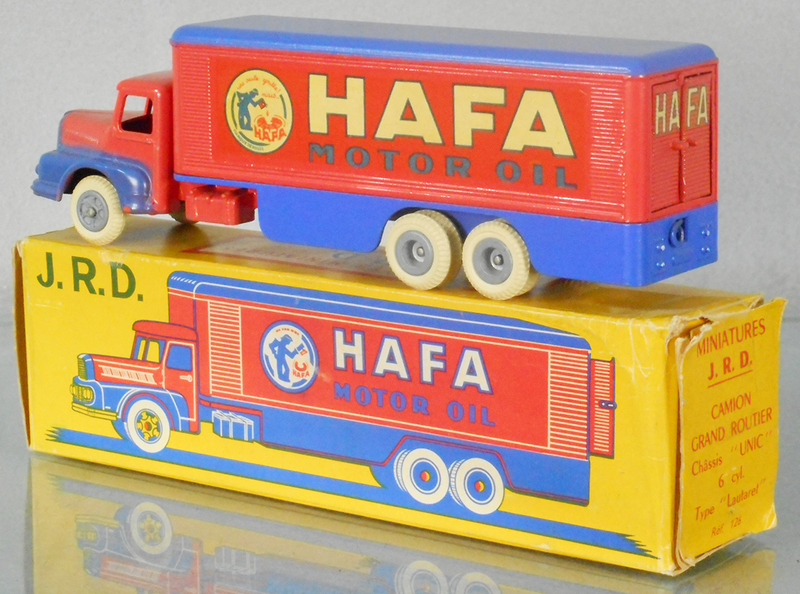 MARKLIN 36837 SUPERMAN DOUBLE SET, digital HO ga, 36837-01 Superman engine, 36837-02 Kryptonite engine, orig boxes & inserts minor wear, C9-10. 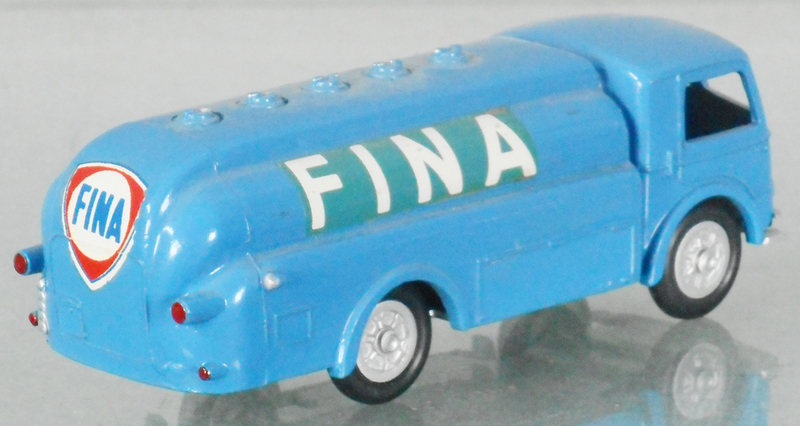 062. 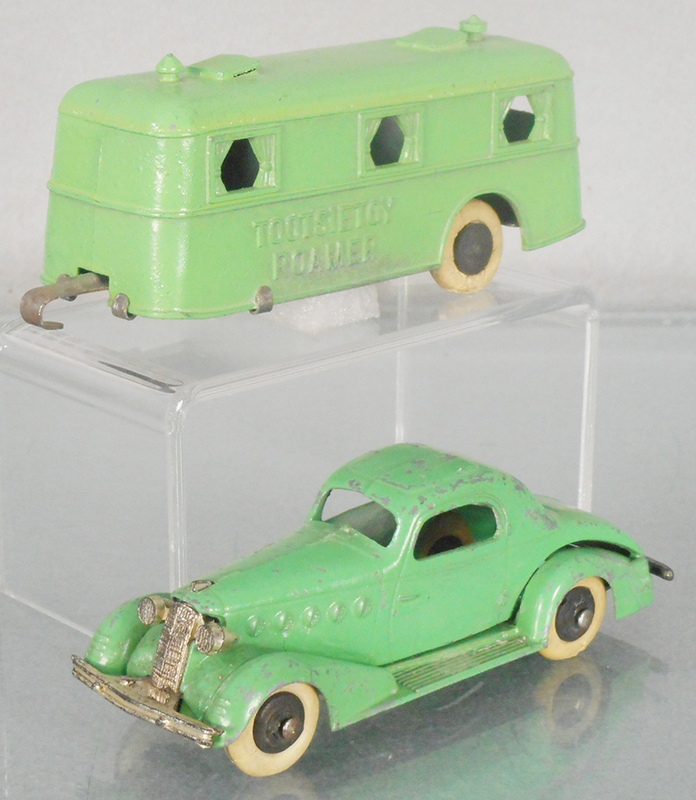 ARCADE 307X FAGEOL YELLOWLINE COACH, painted cast iron, 12 in long, w/The Yellow Line on roof, C6. 106. 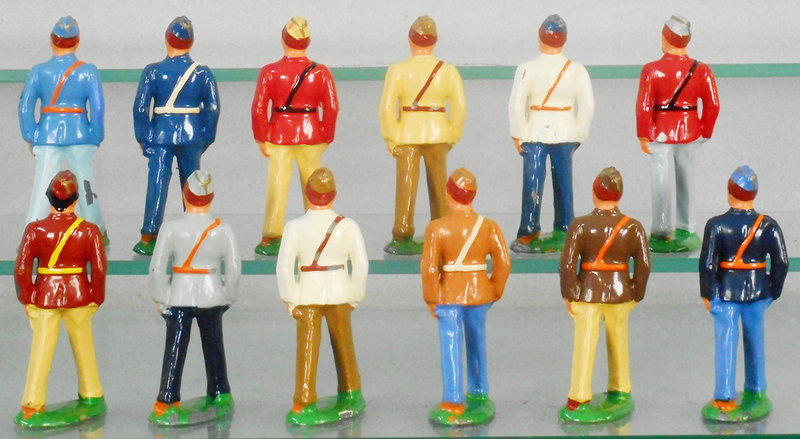 12 BARCLAY DIMESTORE LEGIONNAIRES, 12 #B149, made for 1937 NYC Legion Convention, some paint flaking & cracking, orig issue figures, C7-9. 155. 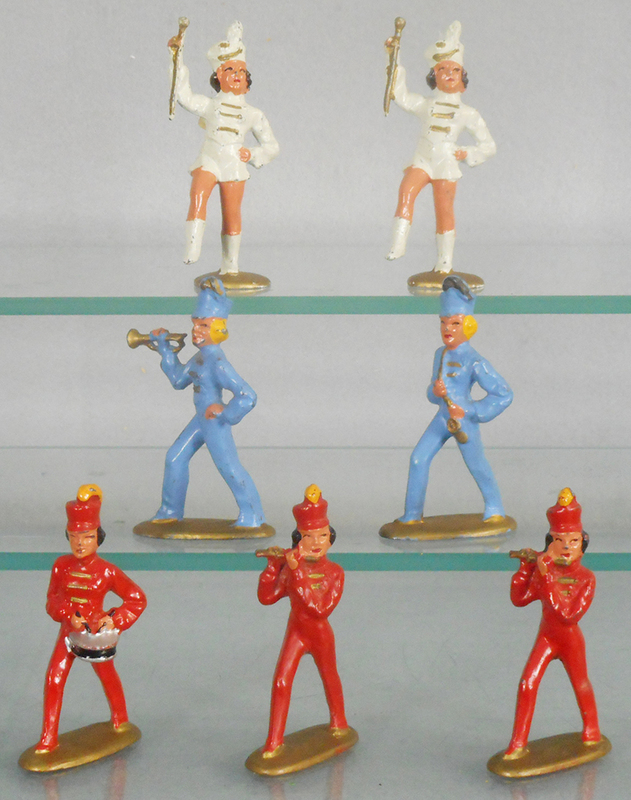 ALL-NU DIMESTORE GIRLS MARCHING BAND, 2 #AN-15, AN-20, AN-21, AN-22, 2 #AN-19, C7-8. 200. 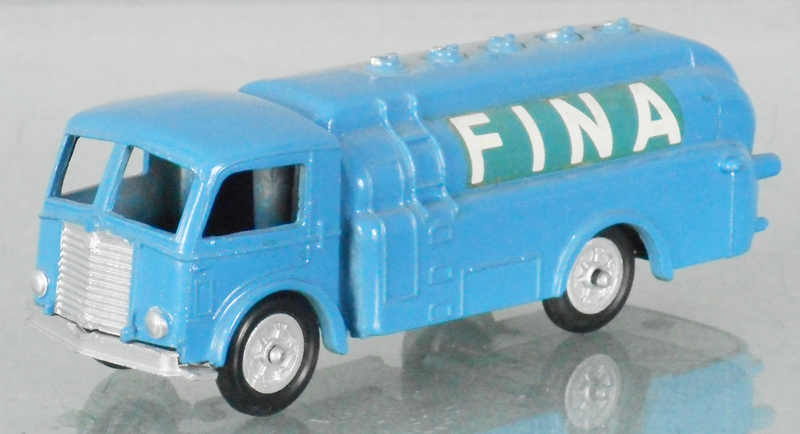 MERCURY 96 VIBERTI FINA TANK TRUCK, blue, minor decal edge wear on rear decal, C8. 251. 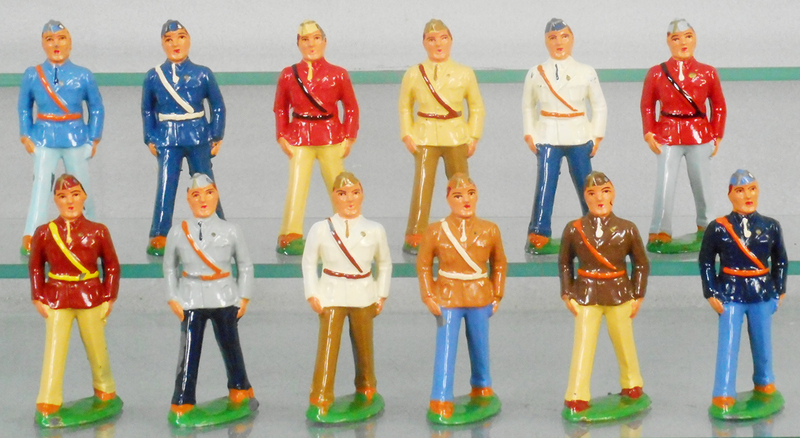 MARKLIN 16150 STEAMSHIP VICTORIA, tin, windup working, 39 in long, w/stand, orig box & insert, C9-10. 278. 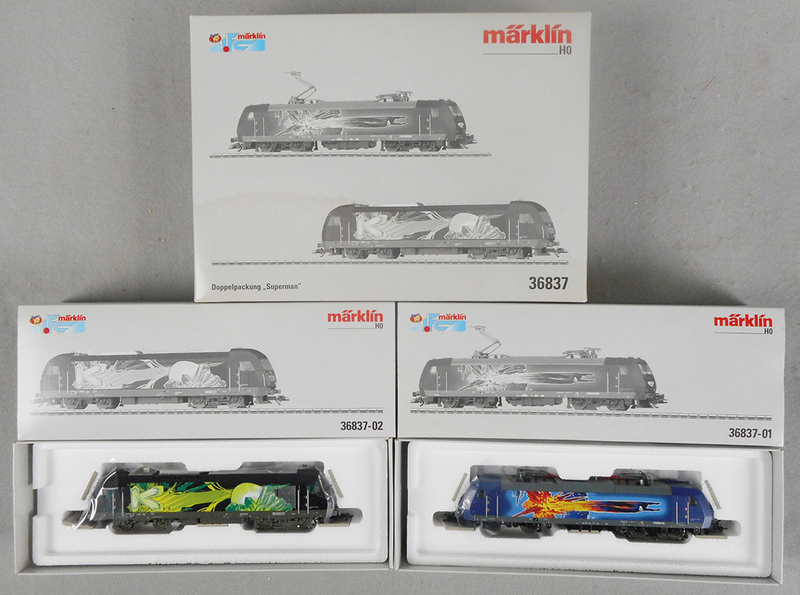 MARKLIN 3462 ALASKA ABA DIESELS, digital HO ga, General Motors diesel electric ABA, blue & yellow, orig box & inserts minor wear, C8-9. 305. 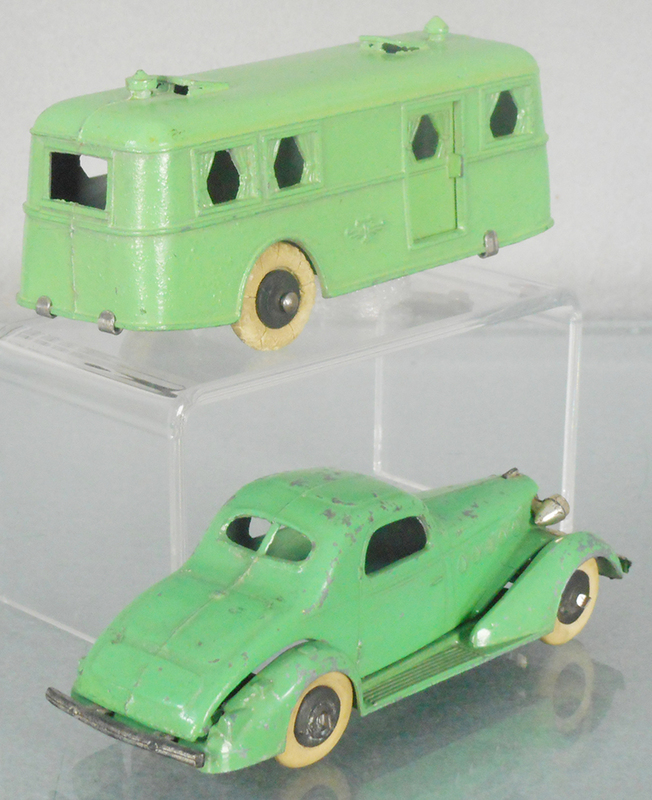 TOOTSIETOY ROAMER SET, green, 712 LaSalle Coupe, 1044 Roamer Trailer, C6-7. 318. 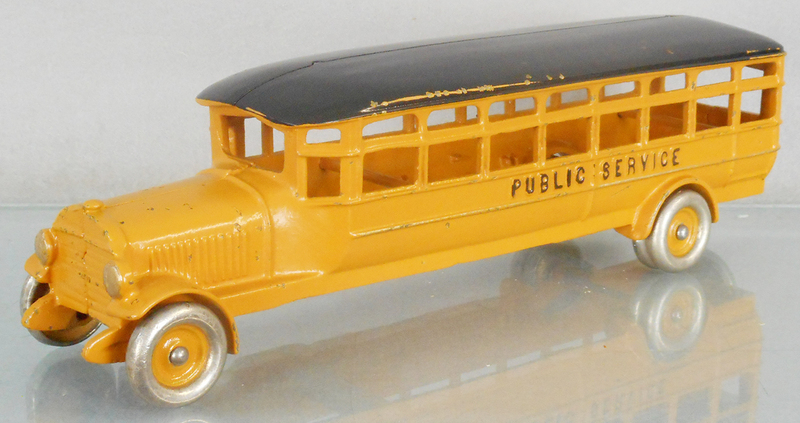 DENT 671 PUBLIC SERVICE BUS, painted cast iron, 14 3/4 in long, professionally restored & aged, C8-9. 373. 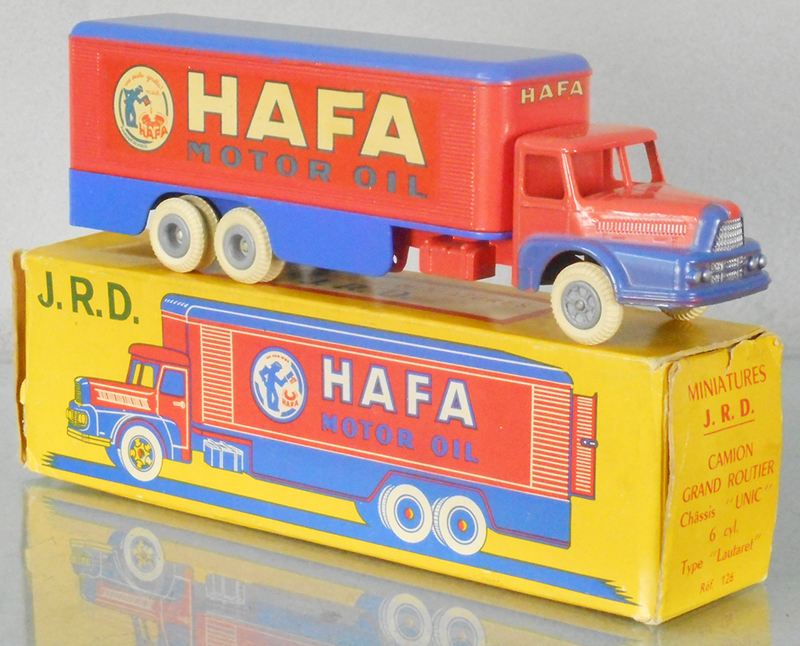 JRD 126 UNIC HAFA TRUCK, orange & blue, opening rear doors, orig box minor wear, C9. 416. 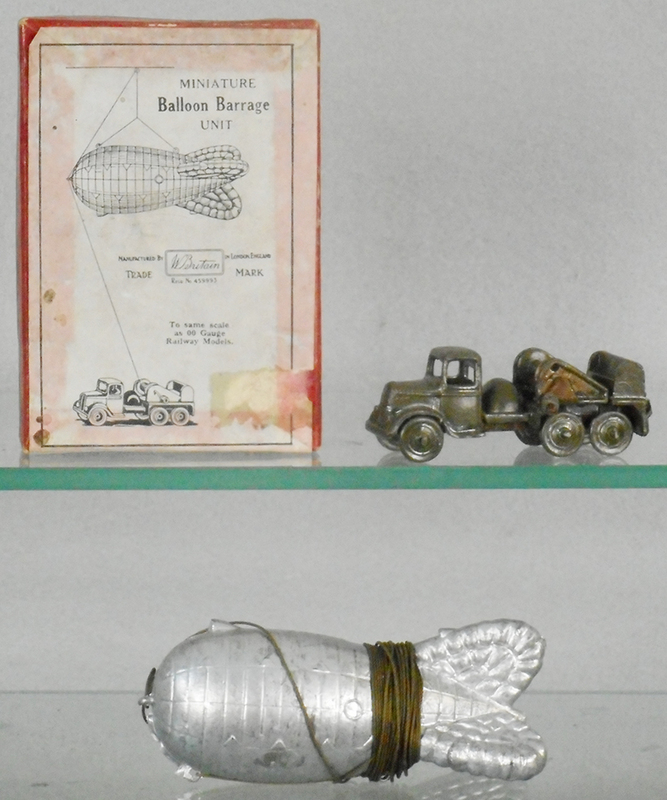 BRITAINS 1855 BARRAGE BALLOON SET, some oxidation spots on truck chassis, orig box worn, C6-7.